Articulation is how a sound is made using accurate and coordinated movement of the jaw, lips, tongue, teeth, and soft palate. Articulation is also impacted by voice, the ability to use breath and contraction of the vocal folds to create sound, and fluency, the rhythm and flow of speech. Phonology refers to the patterns of sound production, and phonological disorders refer to simplification strategies that children use to make speech production easier. 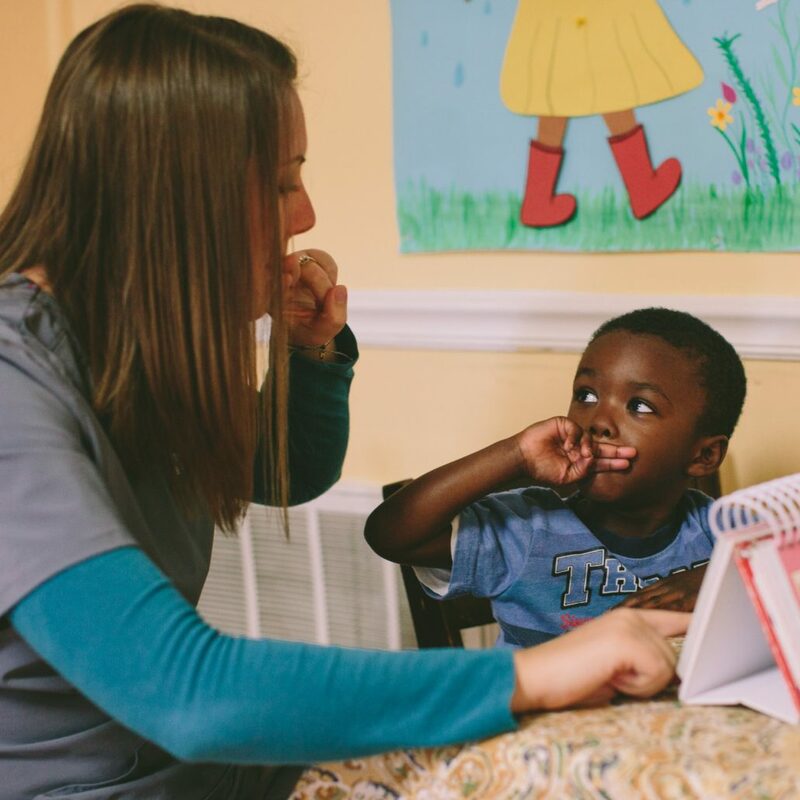 Tri-County Therapy provides PROMPT services for children with Articulation disorders. PROMPT, an acronym for PROMPTS for Restructuring Oral Muscular Phonetic Targets, is a multidimensional approach to speech production disorders has come to embrace not only the well-known physical-sensory aspects of motor performance, but also its cognitive-linguistic and social-emotional aspects. PROMPT is about integrating all domains and systems towards positive communication outcome. It may be used (with varying intensity and focus) with all speech production disorders from approximately 6 months of age onward. To achieve the best outcome with PROMPT it should not be thought of or used mainly to facilitate oral-motor skills, produce individual sounds/phonemes or as an articulation program but rather as a program to develop motor skill in the development of language for interaction.